Manage various files on computer is a panic thing. So why don't you convert all similar or related files into a large PDF file? Not a bad idea, right? 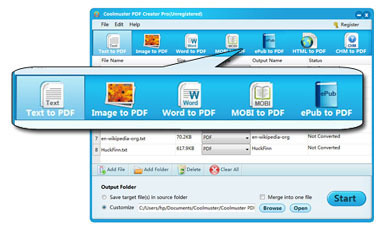 Coolmuster PDF Creator Pro is here to help Windows users to create their own PDF files. Easily make/create PDF file from MS Word docx, Text, Image, MOBI, ePub, CHM, HTML and more. Two conversion modes to satisfy different user's needs. Allows to secure output PDF by applying passwords and encrypted permissions. Works well without additional third-party program. This is not a single-functional tool, it is a multi-functional PDF Maker program. With it, you can create your own PDF files from 7 different formats, so that you can share and manage files on computer more effectively. Create PDF files from 7 major formats, including Microsoft Word (.docx), Text (.txt), Image (.jpg, .png, .gif, .bmp, etc. ), MOBI (.mobi, .prc), ePub, CHM and HTML. Preserve the original text contents, layouts and formatting, images, hyperlinks, etc. in the output PDF file with zero quality losing. 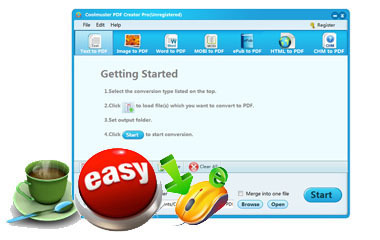 Want to convert a batch of PDF files to PDF or only want to convert the specific file? No matter what is your converting needs, this tool can meet your demands. All imported files can be exported to PDF files at one conversion. Right-click the specific document, you can only convert the one to PDF quickly. 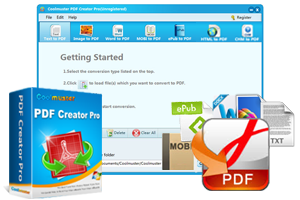 In order to satisfy all user's needs, this PDF Maker Pro have set lots of options for your reference. With the different options, you can choose the one you like to add, edit or convert files without any limitation. 3 different ways for users to import files for converting: Add file button, drag-n-drop operation and add from the menu. Convert files in two different ways: Convert button and right-click operation. No need to learn a complex program or install any additional 3rd party apps. Don't want to spend too much time on creating files? 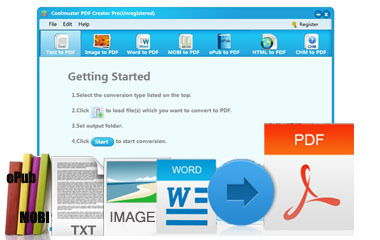 Just try this PDF Creator Pro. With it, you can create PDF files from different files at seconds. Precise and concise interface design makes you comfortable while you're using this handy tool. Batch conversion mode can highly improve your working efficiency. You are allowed to customize the PDF's page size, document margins and security options. Owner password, user password or detailed permissions can be applied to the output PDF files. There may be more flashy PDF creators available, but for those just looking for an inexpensive and simple way to make PDF, this one fits the bill nicely. Work well on all Windows system, including Windows 8/7/XP/Vista/ 2003/2000/NT. 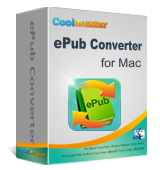 Few simple steps to convert MS Word, Text, PDF, HTML, MOBI and many other files to ePub format.